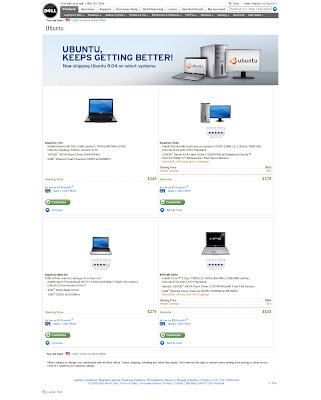 In the USA Dell is offering only 4 computers with Ubuntu as May 17, 2009. That is a drop of 2 computers since February 2009. See screen scrape below.